When you think about cool cities around the world, it's easy to be lazy and think only about the usual suspects, like New York, Paris, London and Tokyo. As you explore deeper, however, you'll realize that many of the coolest cities in the world are lesser-known—and, in some cases, completely unknown. It's not shocking that you would arrive to Belgrade feeling dismal about its cool prospects, if only because of Serbia's turbulent history. What you'll quickly realize, however, is that in spite of this so-called "White City" being mostly grey, there's a hipness to the air here, from the trendy cafés in Republic Square, to floating nightclubs in the Sava River, to quirky cultural accents like the Nikola Tesla Museum, where you can re-create famous experiments done by Serbia's most famous native son (not to mention, namesake of the coolest car concept in recent memory). Like Serbia, Rwanda has spent the past two decades recovering from war and genocide, albeit on the other side of it. To be sure, Kigali's rise from the ashes has been nothing short of triumphant. The city is not only the cleanest and safest in East Africa, but has one of the continent's most dynamic food and cultural scenes, a fact no doubt informed by the large international presence of the UN in the city. Plus, Kigali is less than two hours by car from Volcanoes National Park, one of the best places in the world to trek among mountain gorillas. The name "Fargo" is certainly cool, thanks to the legacy one of the most popular cult-classic films of all time (and one of the best-rated shows currently on TV). The city itself, perhaps surprisingly, is keeping pace, not only because it's become a hub for high-tech types (the city recently hosted a "Drone Focus" conference), but because its low cost of living and small urban core has made it an increasingly popular place "digital nomads" who aren't tied to a certain location to hunker down for a while. Although São Paulo is by far the largest city in South America, known among Brazilians as the New York of the continent, it usually plays second fiddle to neighbors like Rio de Janeiro and, increasingly, Buenos Aires. But what São Paulo lacks in tango and beautiful beaches, it makes up for in terms of culture (Museu de Arte de São Paulo, or "MASP," not only hosts exhibitions from all around the world, but is constructed in such a way that it frames the city as a work of art) and cuisine (it's home to 13 Michelin-starred restaurants), to say nothing of its instantly Instagrammable skyline. The vast majority of Australia's population might be confined to Melbourne and Sydney, but the South Australian capital of Adelaide possesses a quantity of cool disproportionate to its census numbers. For one, the city has become a hub for independent art galleries. Adelaide also hosts SALA, the South Australian Living Arts festival, which provides the growing community of artists who call the city home sustain themselves, guaranteeing a cool urban environment for generations to come. It won't take you long upon arriving in the capital of Malaysian Borneo's Sarawak state to realize that kucing (sic) means "cat" in Bahasa Malaysia. From statues and street art strategically placed throughout town, to the fact that the city museum is dedicated entirely to cats and their importance in world culture, Kuching plays up its cat connection in a way that can only be described as cool, to say nothing of the super-cool fact that it's among the cleanest and greenest cities in Malaysia. The fact that Tel Aviv is cool is old news, and even its neighbor to the north Beirut is finally getting its due in the travel press. But one Levantine city whose coolness still exists mostly in the shadows is the Jordanian capital, Amman. Contrast is the key to cool here. Smoke shisha at trendy cafes on Rainbow Street, which is in spitting distance of the city's Roman amphitheater. Or enjoy classic local dishes like falafel served hipster-style, substituting a pita pocket for a pressed-and-grilled baguette. All of this is in addition to Petra, without a doubt the coolest destination in the Middle East, which happens to be within day-trip distance of Amman. Like many cities in Canada that aren't Toronto and Montreal, Calgary is isolated from the rest of civilization by thousands of miles and a massive mountain range — more on that in a minute. In spite of this, coolness has managed to flourish in Alberta capital, from the quirky boutiques of the Kensington and Inglewood neighborhoods (try Plant, a succulent shop, or stock up your spice rack at the Silk Road Spice merchant), to the psychedelic Peace Bridge over the Bow River, to the fact that the legendary mountain scenery of Banff National Park is just a couple hours' drive away. It's difficult to find a list of world's coolest cities these days that doesn't have Mexico City on its. 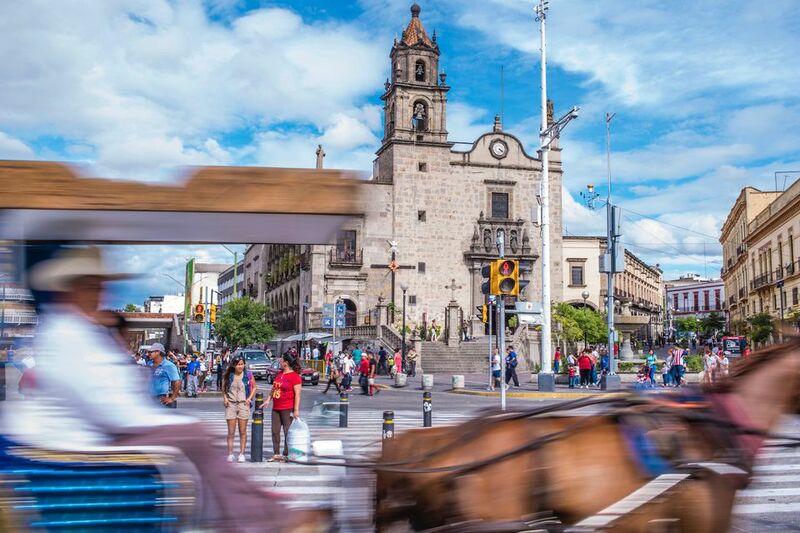 Their loss can be your gain, however, whether you enjoy the affordable luxury of Guadalajara's heritage hotels, sip cold brew in the too-cool-for-school cafes of Avenida Chapultepec or take a weekend trip to the town of Tequila, whose name is far from a coincidence: It's the birthplace of the celebrated spirit, and when you're not posing for pictures in the rolling fields of blue agave, you can literally take a shuttle bus between different distilleries, for an afternoon of drunk debauchery that can only be described as "cool." Kumamoto has its own mascot, which should automatically place it on this list of the world's coolest cities, but that's only the beginning of the story. The street food (and beverage!) stalls at the base of Kumamoto Castle also up the city's cool factor, because the only thing better than world heritage is world heritage enjoyed with takoyaki octopus fritters, cherry blossom-flavored soft serve and Asahi beer on tap. Kumamoto has managed to maintain all these amazing aspects about it in spite of the earthquake that devastated the city in early 2016—and really, is there anything in the world cooler than perseverance?